The Suites at Fall Creek in Branson, Missouri, presents the perfect escape while still putting you close by amazing attractions that you do not want to miss, such as the Showboat Branson Belle Lunch & Dinner Cruises, located half a mile away from your lodging. 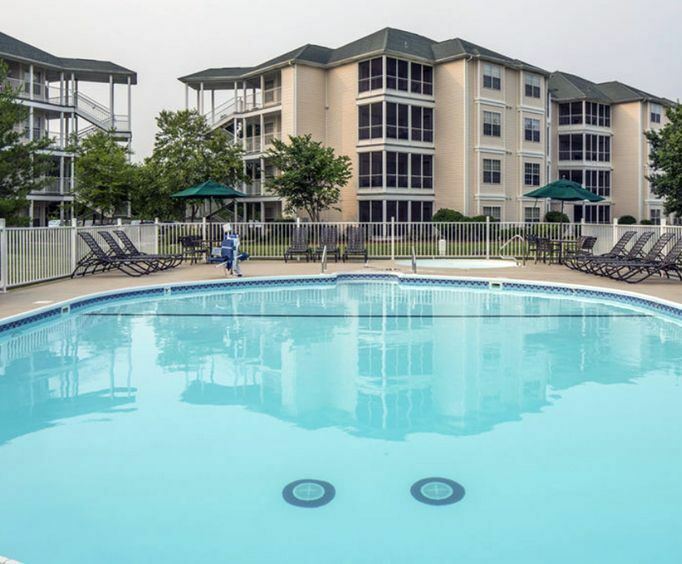 Great amenities like a spa and outdoor hot tub encourage you to relax, and both indoor and outdoor pools offer fun places for your family to play. Other hotel amenities include laundry and a gift shop. During your stay, visit The Acrobats of China featuring the New Shanghai Circus, located only 1.8 miles from your hotel. Branson Titanic, Hollywood Wax Museum, Ripley's Believe It or Not Museum and both the Hughes Brothers and Jim Stafford Shows are all only a short drive away. 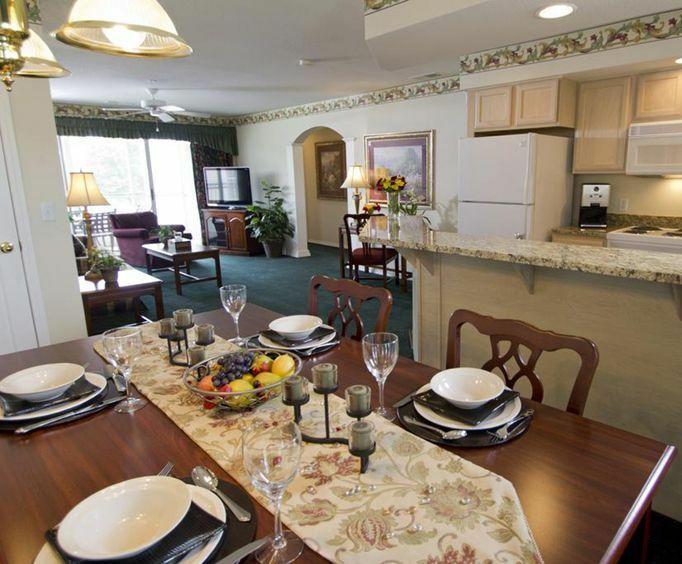 Offering all the amenities of an upscale community, The Suites is the perfect place to spend your Branson vacation. The two pools allows ample space for all the guest to spread out comfortably while remaining close enough to mingle. The indoor pool is heated, an especially nice luxury in the colder months. Sit back and relax in the hot tub or enjoy a massage at the world class spa while the kids entertain themselves in the children's play area. 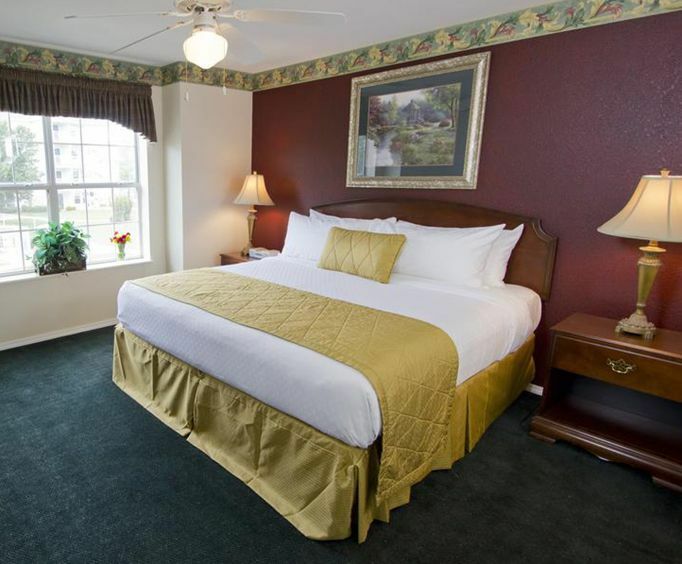 Back in your room, make yourself comfortable and watch cable television while enjoying drinks or snacks from the coffee maker, refrigerator and microwave that are a part of every room. Dining out is easy with many restaurants nearby, including Fall Creek Steak & Catfish House, Danna's Bar-B-Que & Burger and the La Veracrusana Mexican Restaurant all located within a mile of the hotel. Great shopping can be found nearby at the Branson Mall and The Grand Village Shops. We did not know that this did not have an elevator (coming from minnesota, all places have elevators) and i had recently had hip replacement surgery. It was a bit difficult climbing the stairs to 3rd floor, however, so worth it. The location right on the river watching the nesting bald eagles was fabulous and the condo itself was wonderful. Couldn't have asked for a nicer place. Will definitely come back again! "Hotel was quiet and clean." Hotel was quiet and clean. Was a great value. Bed and pillows were very comfortable. Did have an issue at checking due to two rooms being resverved under our name. This made the checking process twice as long as it needed to be. The staff is very friendly. Rooms were in clean condition. I would stay there again. The only thing that i would suggest is that they needed two shower curtains on the pole because one was not enough to cover the entire tub area. Our family vacation turned out to be wonderful. We feel that we got good pricing on the hotel and the shows/attractions that we booked through vacations made easy. I believe that if we go back to branson we will be using vacations made easy again.